Every student has a unique set of strengths and weaknesses. Some student may excel in STEM subjects, while others may love literature and writing. Yet, think about how the average school day is divided up: 55 minutes for English, 55 minutes for gym, 55 minutes for science, as if every student needs the exact same amount of time and support to grasp each and every subject. As human beings, we just don’t work that way. Educators know it better than anyone. Their students learn at different speeds. And the variety of skill levels in a classroom make it difficult to personalize learning and reach every student. Often, we see the advanced student bored because they’re not being challenged and the struggling student lost because the content is too difficult or quick-paced. This linear approach to teaching, giving equal attention to every subject and moving students along at the same pace, is not practical. And it may not be the best way for preparing students to succeed on those rigorous end-of-year assessments. 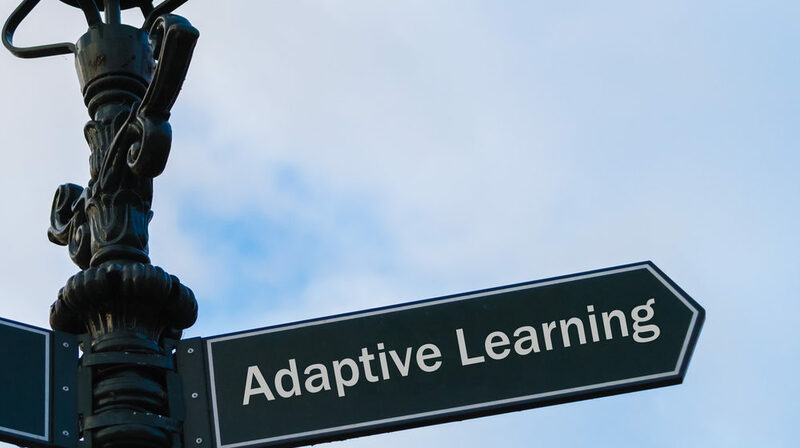 More and more, what students need is an adaptive learning approach—an approach that adapts itself to them, with their individual strengths and weaknesses in mind. Adaptive learning gives students the opportunity to spend time on those concepts and skills needing additional support and instruction. Adaptive learning tools are often technology-based, using this technology to track student progress and adapt lessons to the skills and content students need. Students move quickly through what comes easily to them, but spend more time on what doesn’t. Adaptive learning doesn’t just empower students, though. It empowers teachers. With adaptive learning, teachers can meet students at their precise learning level. Scores come back in real-time, while the student is working, which means that a teacher knows—almost immediately—which students are struggling and on what specific concepts and teachers can then remediate or reteach an individual student, small group or the class as a whole. The insight a teacher gains, thanks to adaptive learning, enables that teacher to offer more individualized help or to modify instruction or explain in greater detail. As we developed Measuring Up Live 2.0, we took into account the profound importance and the practical challenges of nurturing 21st century skills in the classroom. To improve students’ skills, knowledge, and readiness for assessment, our research-based, adaptive, and differentiated solution provides rigorous content and scaffolded support and puts success into students’ hands. Robust reporting is at the heart of the program, giving educators the tools they need to track all students in their classroom, target instruction, and prescribe practice to meet the skills and standards each student needs, all to support standards mastery and assessment success. Want to learn more about how you can use the Measuring Up Live 2.0 adaptive learning to improve student assessment? Watch This!